The open records portal is your City’s online resource for open data. Submit an open records request, manage existing requests and view public information with our user-friendly system. A public information request must be in writing. A governmental body is not required to answer questions, perform legal research, or create new information in response to your public information request. Providing as much information as possible within your request will allow departments to complete your request more efficiently. Information such as: name, address, date range, and subject matter. For additional Open Government resources, visit the website of the Attorney General of Texas. What is a police open records request? Police requests consist of police reports, incident reports, crash/vehicle accident reports, calls for service, towing records, and 911 calls. Where do I request water and utility shutoff? Please contact SAWS at openrecords@saw.org or CPS Energy at open_records@cpsenergy.com. Requests expecting to exceed $40 will be provided with a cost estimate for your approval. 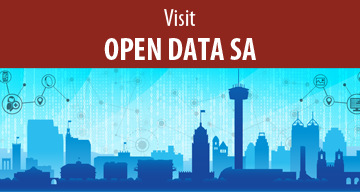 The Open Records Portal link will take you outside the City of San Antonio's website. Should you have any questions, you can still contact the City's Open Government at 210.207.0297 or email openrecords@sanantonio.gov.